Visitors to the Canadian Museum for Human Rights have more time to take in a popular Nelson Mandela exhibition. The museum announced it is extending the exhibition exploring the life and legacy of the South African president and anti-apartheid leader until October. Visitors to the Canadian Museum for Human Rights will have more time to take in a popular Nelson Mandela exhibition. 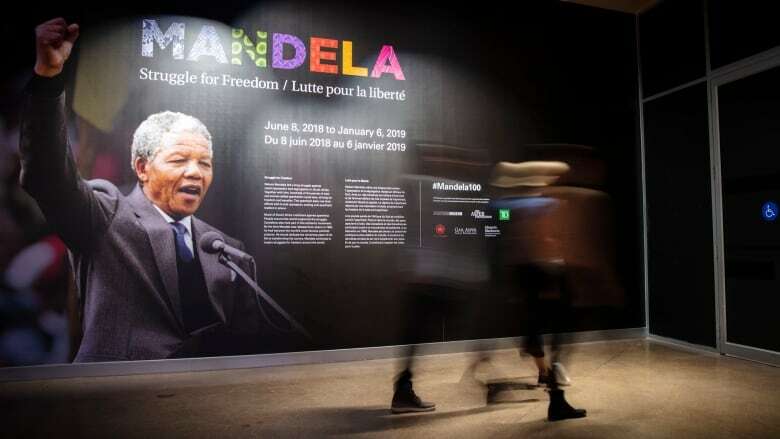 The national museum in Winnipeg announced it is extending the exhibition exploring the life and legacy of the South African president and anti-apartheid leader until October. The exhibition Mandela: Struggle for Freedom, which opened in June 2018, was originally scheduled to close Jan. 6. It will now run until Oct. 14, 2019, the museum announced Thursday. Celebrated as a revered human rights figure worldwide, Mandela died in 2013 at the age of 95. He was imprisoned for 27 years in an open act of defiance against the South African government and its system of institutionalized racial segregation. The CMHR will introduce new programming centred around Mandela's struggle to end apartheid and oppression in south Africa. A family-friendly guided tour on Saturdays, starting in February, will feature three interactive activities in the main gallery dedicated to Mandela and visit other areas of the museum where Mandela is featured. Self-guided school class programs will also be available in February and will explore parallels between Indigenous experiences in Canada and Mandela's struggles against apartheid. The museum is also planning special events during the extended run of the exhibit, including an evening of conversation with former Assembly of Manitoba Chiefs Grand Chief Derek Nepinak, who recently spent 27 hours inside the exhibition's replica of the prison cell where Mandela was held for 27 years. The Mandela exhibition has proven popular with visitors, the museum said in a Thursday news release. A survey in the summer found that one-third of visitors came specifically to see the Mandela exhibition. The museum will close Jan. 6 for a week of scheduled maintenance and will reopen Jan. 15.